White Chocolate French Silk Pie Cookies are the ultimate sweet treat. 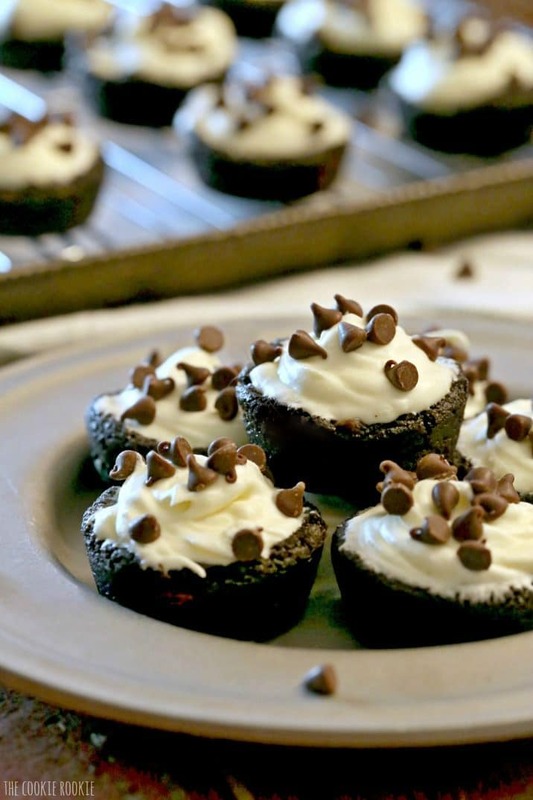 Double Chocolate Cookie crust topped with creamy White Chocolate French Silk Pie filling. 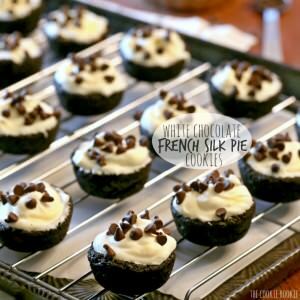 White Chocolate French Silk Pie Cookies…the best! You guys. Christmas is in 3 days. Where has the time gone? WHAT AM I GOING TO GET PAT FOR CHRISTMAS?! This question is keeping me up at night, but I still haven’t figured it out. Ugh! I have gift-giving anxiety. Every year we do stockings, and that’s my favorite part. I have that covered. But the big gift? UGH! I have no idea. He is the hardest person to buy for. He literally only asks for gift cards…and that is so darn lame. No I do not want to give my husband a Menards gift card for Christmas. I need to come up with something fast. I’m hoping that some Christmas baking will get me in the mood to buy some amazingly creative Christmas presents. Does that work? If not, at least I can eat delicious cookies! Pat’s always been better at giving gifts than me. I always seem to buy the wrong sized clothes, and earlier this year accidentally bought him sunglasses that he already had. Not cool. 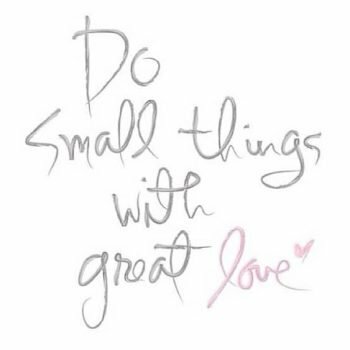 I’ve got to think of something wonderful to for Wednesday. I should just buy him the pug puppy he’s been wanting and be done with it. But…I’m really not sure I’m ready for all that. Would Scout love a brother or sister pug? I’m not so sure. She’s a pretty jealous girl, and she likes the blog leftovers all to herself. Hmm…a puppy might happy soon but not for Christmas. Back to the drawing board. I was inspired to make these little beauties from one of my FAVORITE blogs, The Law Student’s Wife. Erin is always creative, and her recipes are always beautiful. 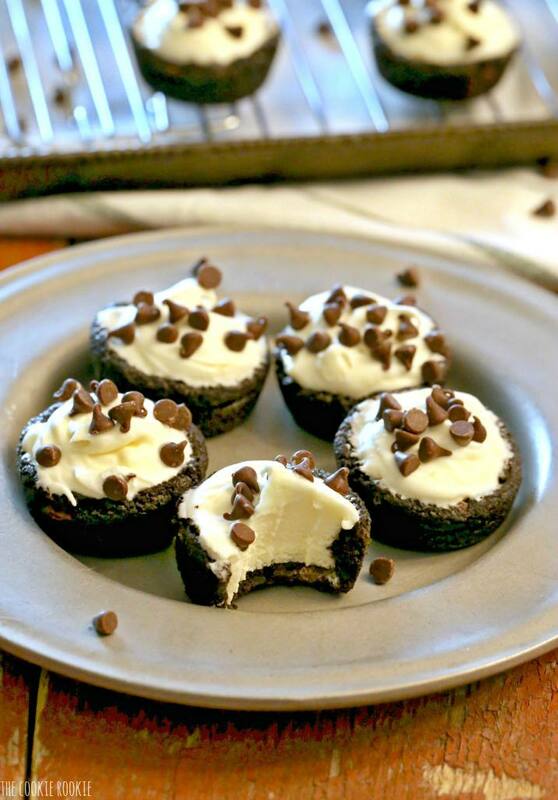 Earlier this year she made AMAZING French Silk Pie Cookies and they looked so cute and delicious. The flavors are different with this White Chocolate version, but the idea is the same. Thanks for the inspiring recipe Erin! 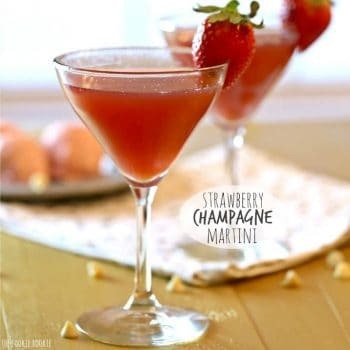 Be sure to check out her original recipe HERE. For the White Chocolate French Silk Pie filling I used my favorite Easy French Silk Pie recipe and swapped out the darker chocolate for white chocolate. Success! This cookie is definitely one of my favorites. Might still be behind the Twix Cookie Cups, but still one of my favorites! Well, I’ve eaten way too many of these White Chocolate French Silk Pie Cookies and I still don’t have a present for Pat. 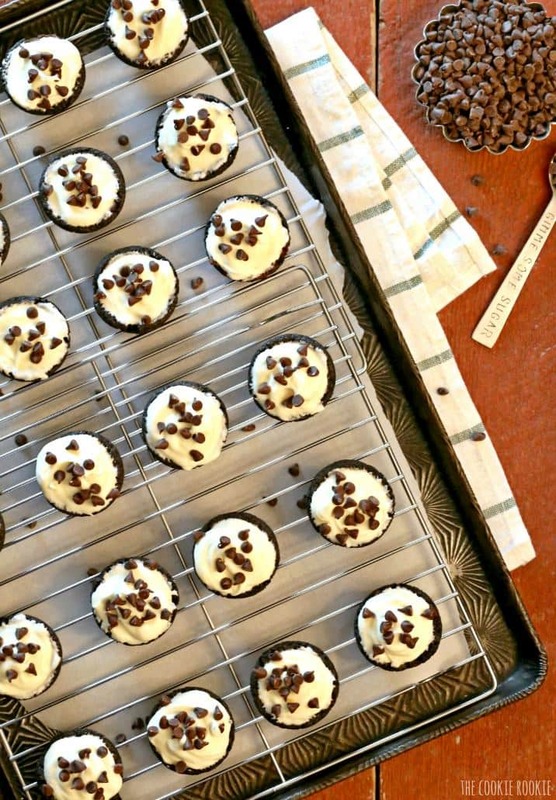 White Chocolate French Silk Pie Cookies are the ultimate sweet treat. 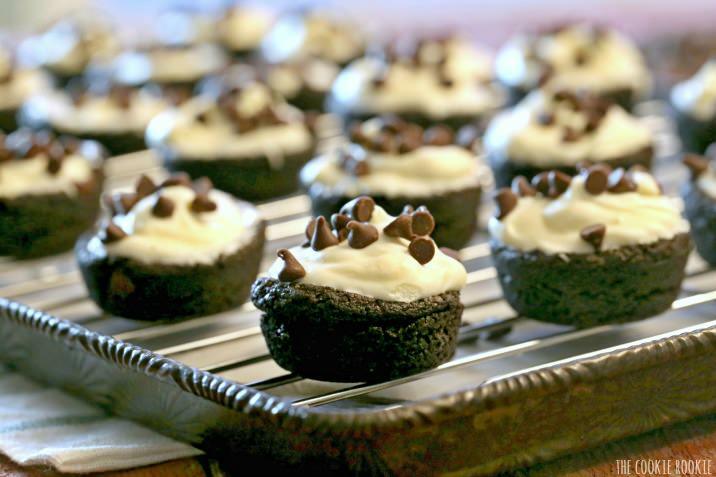 Double Chocolate Cookie crust topped with creamy White Chocolate French Silk Pie filling. White Chocolate French Silk Pie Cookies...the best! Preheat oven to 350F. Grease or spray a mini muffin tin. Break off each preportioned cookie dough square and split in half, making two cookies from the preportioned one. Roll each 1/2 into a ball and drop in the mini muffin cups. This should make 24 cookies. Bake at 350 for 12-15 minutes or until cookies are baked through. Right after taking the cookies out of the oven, use the end of a shot glass (awesome tip Erin!) to push down the dough in the center of each mini muffin tin, forming a 'cookie cup'. Using a butter knife, remove each cookie from the muffin tin and allow to cool. In small microwave safe bowl melt the white chocolate until stirrable (melt in 30 second intervals, stirring in between. It will take about a minute total). Set aside to cool. In a large bowl with an electric mixer beat 1/2 cup (1 sticks) of unsalted butter and 3/4 cups of white sugar until fluffy (about 1 to 2 minutes). When melted chocolate is cooled (it should be stirrable but not hot, drizzle it over the butter/sugar mixture. Switch to the whisk attachment and beat the mixture thoroughly until combined. Once the pie filling is well mixed, place 1-2 tablespoons into each cookie cup. Top with mini chocolate chips and refrigerate for an hour to set the pie filling. 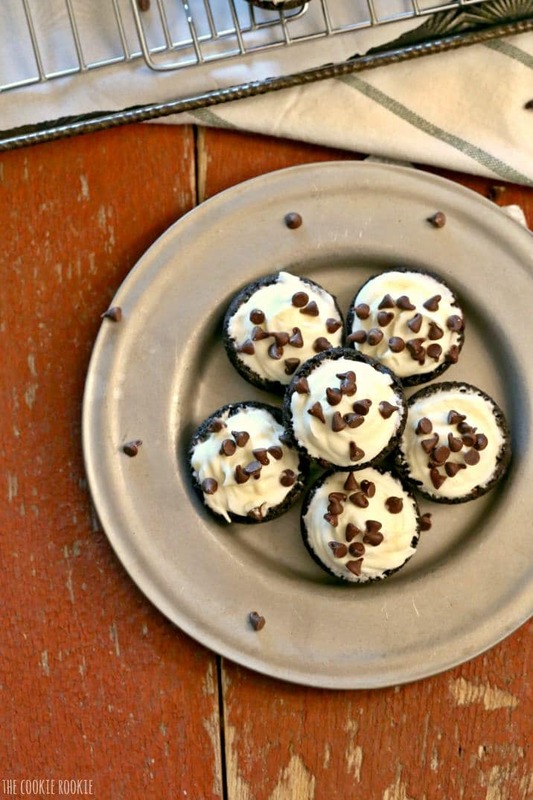 If you like these you’ll love our French Silk Pie Recipe and our French Silk Pie Fudge! UPS - #WishesDelivered - Tweet Your Wish! These look absolutely divine! The perfect treat for the holidays! Thanks Jeni! So sweet of you to stop by. Happy Holidays! These look so yummy and wonderful. I cannot wait to make these for Uncle Donny. I hope you guys love them!!! Tell everyone hi! Love you, Merry Christmas! OMG!!!! These widdle bites look soooooooo good! I can’t wait to overeat them! But anyways……..onto New Year’s resolutions I guess! De-licious!! Oh I sure am glad I’m not at your house because I would of eaten every single on of them! Wishing you and your family a very happy and blessed Christmas! Thanks Cathy!! Merry Christmas to you and your family as well! I also have a problem with the raw eggs. Many people are changing their recipes that have raw eggs because there is a real problem with salmonella currently. The recipe sounds absolutely delicious. I will try to change the filling slightly so I won’t have to use uncooked eggs. I made these with German chocolate cookie dough and topped it with shredded chocolate, chopped walnuts, and coconut. We loved it!